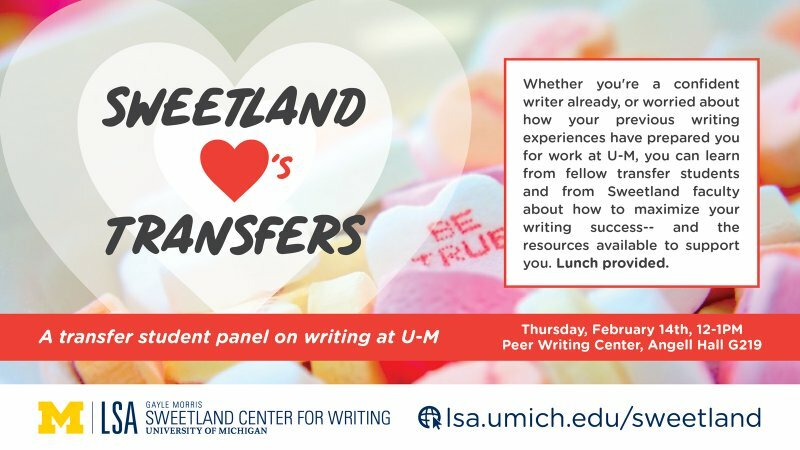 Please join us in the Peer Writing Center (G219 Angell) for a transfer student panel on writing at UM. 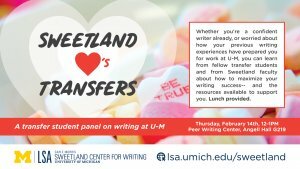 Whether you're a confident writer already, or worried about how your previous writing experiences have prepared you for work at UM, you can learn from fellow transfer students and from Sweetland faculty about how to maximize your writing success--and the resources available to support you. Lunch provided.